Great postcard. The now view is one of those that you would never guess was the same place. Lovely pic. I used to drink in The Harrow before its awful refurb in 2000. 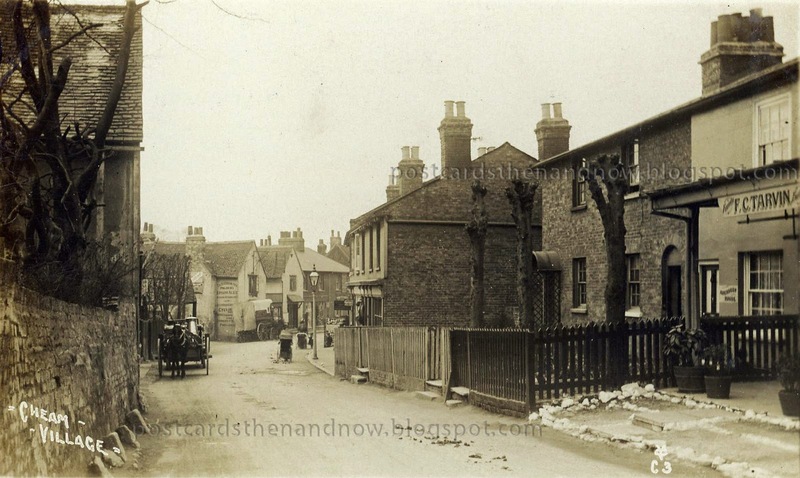 Having said that, I'm not 100% sure it's Cheam/The Harrow in the pic. 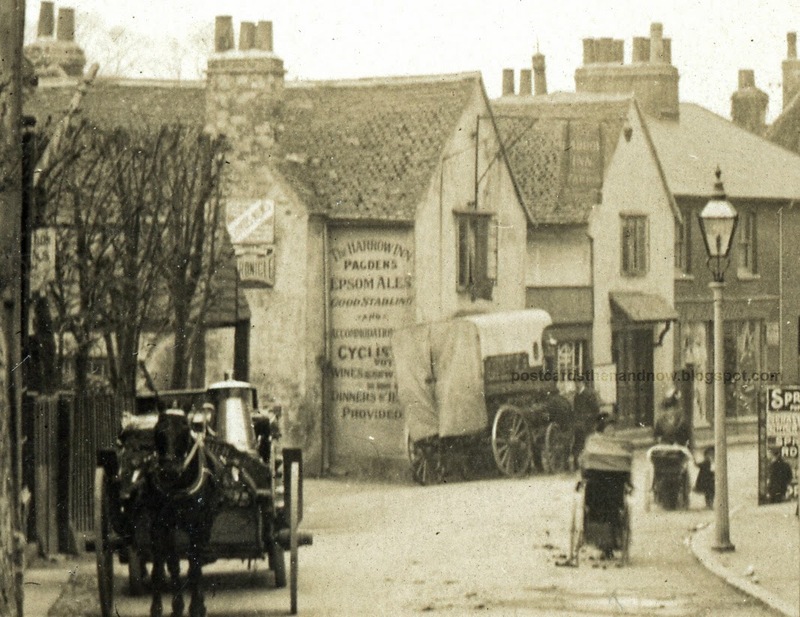 I'm only basing my assumption on the knowledge that the crossroads just beyond the pub were in pretty much the same position that they are now. More than likely it is Cheam, just my perspective that's a little off. Either way, as I say, cracking pic. Thanks Filmplop, I will post a close-up of the Harrow Inn from the postcard in the next few days. There's a bit on the council website that helps explain things a bit. The current Harrow only dates from 1933 and is in a slightly different spot to the old one. I'm not exactly sure what they mean by "behind"
A fine photo with the pair of prams and milk wagon adding great period quality. And nice to have you back too, Howard.